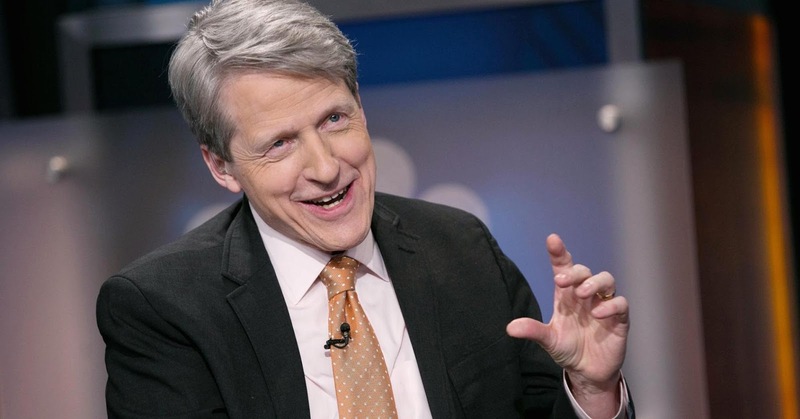 I am not a particularly big fan of a Nobel Prize-winning Yale economist Robert Shiller. He is a mainstream Keynesian generally promoting economic nonsense. That said, I must come to his defense when he said Bitcoin could go to zero or linger for 100 years, and some commenters at the post, Nobel Prize-Winning Economist: Bitcoin Is Likely to 'Totally Collapse and Be Forgotten,' took him to task for his exceedingly broad forecast, collapse to around for 100 years. As I have pointed out many times, Bitcoin, is a momentum play---nothing else. If a flood of new buyers rush in, the price will advance. If there is exhaustion in buying, which I believe could be occurring now, the price could collapse. It is possible that Shiller has not traded markets as long as I have so he may be uncomfortable in proclaiming buying exhaustion but those of us that have seen many ups and downs in markets no what trouble looks like and the trading pattern for Bitcoin is spelling trouble. [The collapse in Bitcoin price]will have come as absolutely no surprise to anyone with more than a decade of experience in any market. We have pointed out that the cryptocurrency boom has been about as obvious a speculative mania as markets have ever seen. That said, I do not believe Shiller's comment is without value. That he warns it could go to zero is something that every Bitcoin trader needs to take into his calculations. In a less clumsy fashion, Shiller is saying that Bitcoin is far from a sure thing, it could trade at any price and there is nothing to say that price is not zero. And that is very sound advice to a person thinking of maxing out his credit cards to lay money down on Bitcoin. Shiller's warning is that it is possible that the only thing you are going to end up with after maxing your credit cards and putting the money on Bitcoin is massive debt payments---and that is a very important warning.